Every Elleci patent is the result of many hours of work and above all research into how we can combine technology, innovation and design. 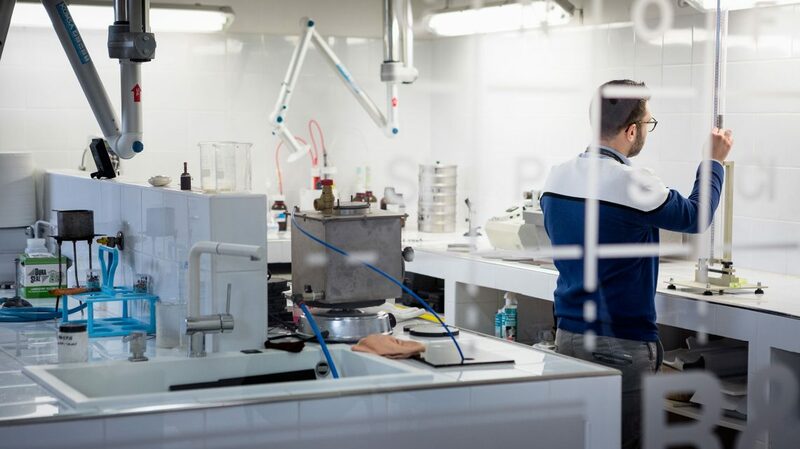 Elleci has a fully equipped laboratory for the development and detailed formulation of new colours and materials, using cutting-edge processes and procedures. The skills we have developed over the years mean that Elleci can provide its customers with new colour solutions. Our laboratories are constantly performing advanced colorimetric tests and chemical and physical analysis on materials. Another key aspect is Design. ‘Progetto’ means design. And ‘progettare’ comes from the Latin, meaning to throw forward. Design is awareness: being aware of the present and imagining the future. Design is a technical, scientific, sociological and humanistic discipline, a connecting link between engineering, art, invention, style, production and market. There are techniques and theories that are reflected at Elleci in the design and production of state-of-the-art techniques, products and solutions.